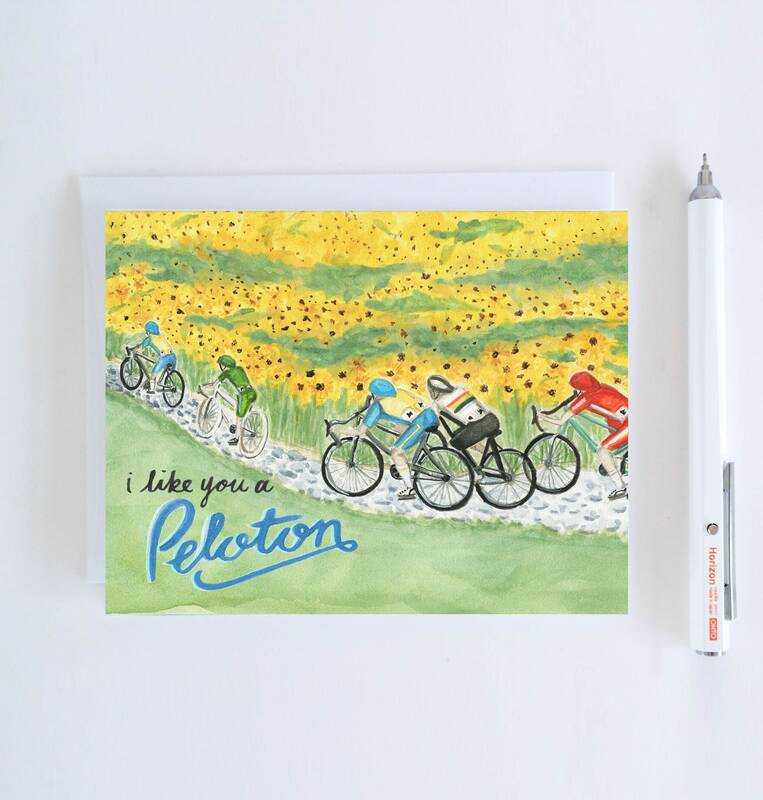 These sports greeting cards are just the thing to say hello to your favorite athlete or sports fan! 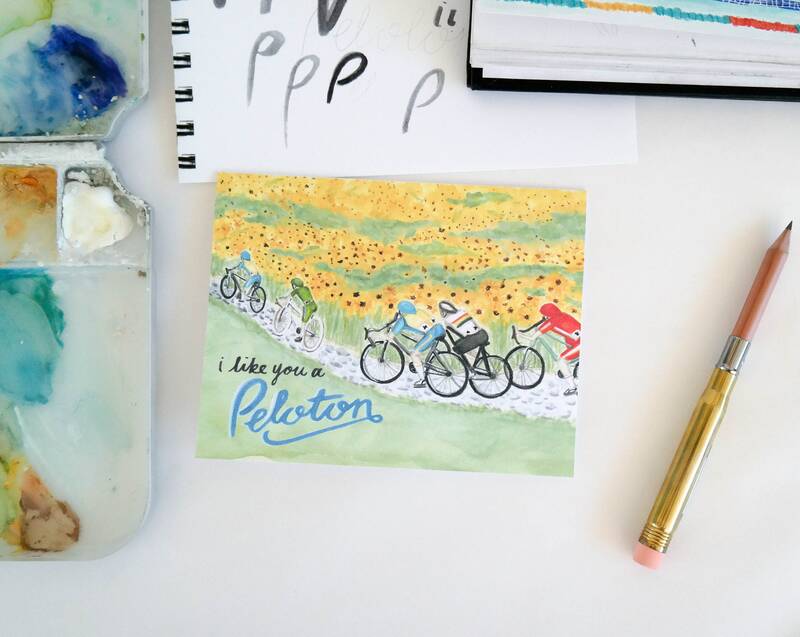 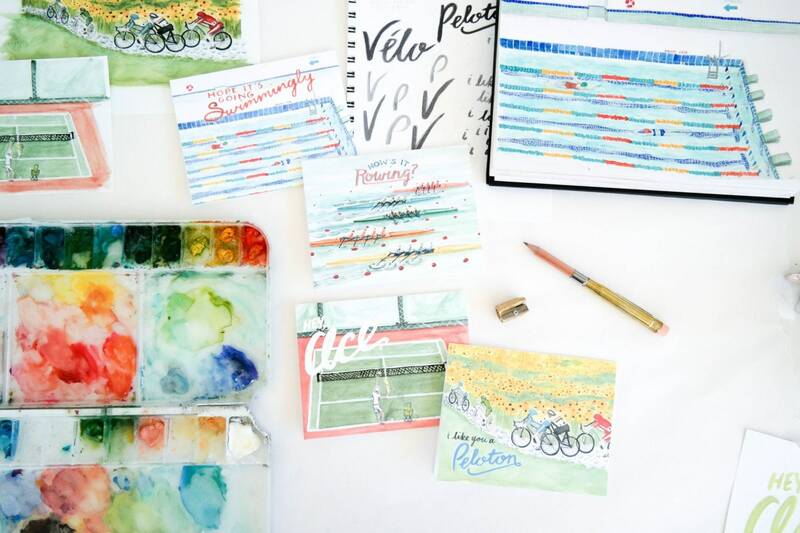 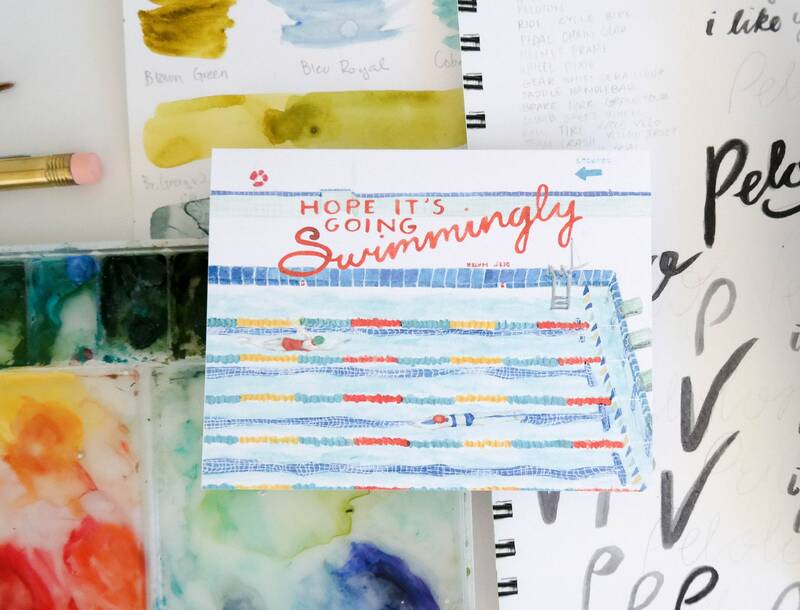 Choose from watercolor cards featuring illustrations for swimming, rowing, tennis, or cycling. 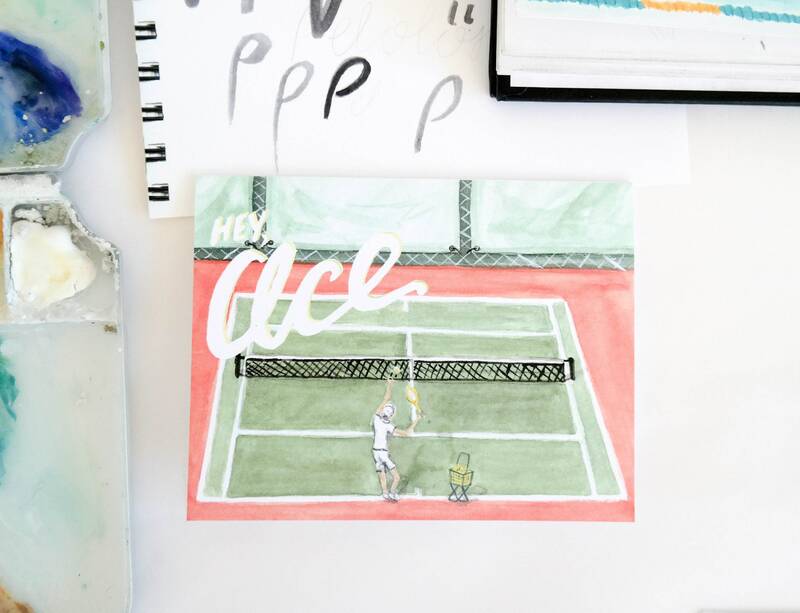 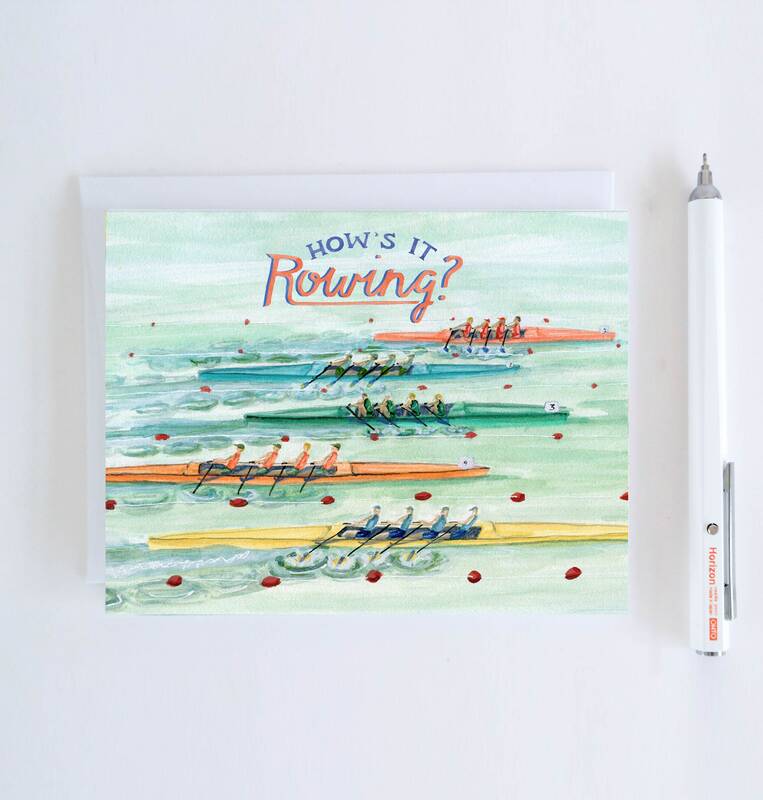 Each of these sports greeting cards includes a hand lettered hello on the front. 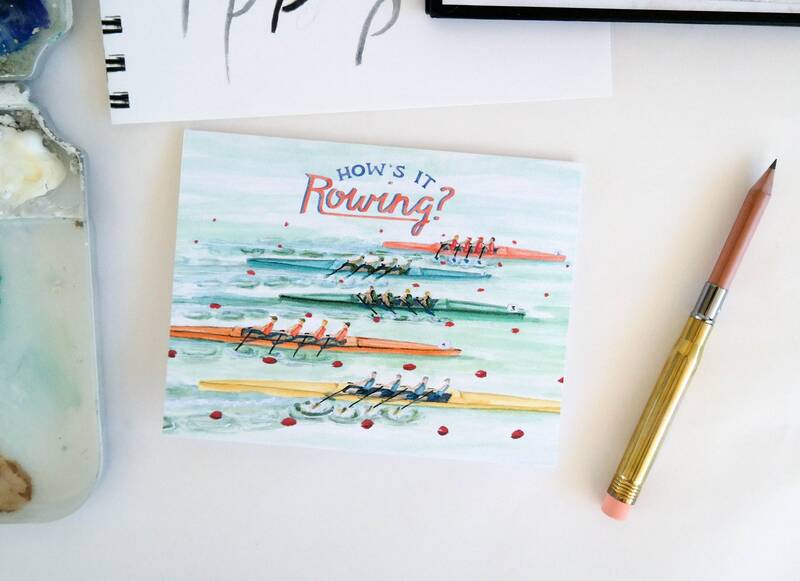 Order a single sports greeting card to send to a friend, or a set of 8 watercolor cards as a gift for sports fans. 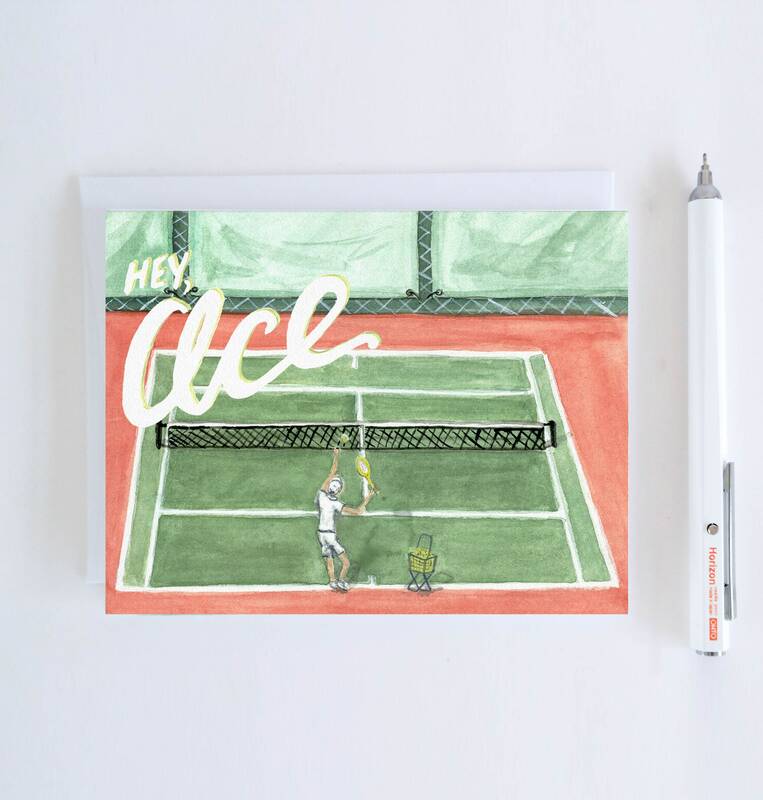 These illustrated sports greeting cards are blank inside and ready for whatever message you want to send! 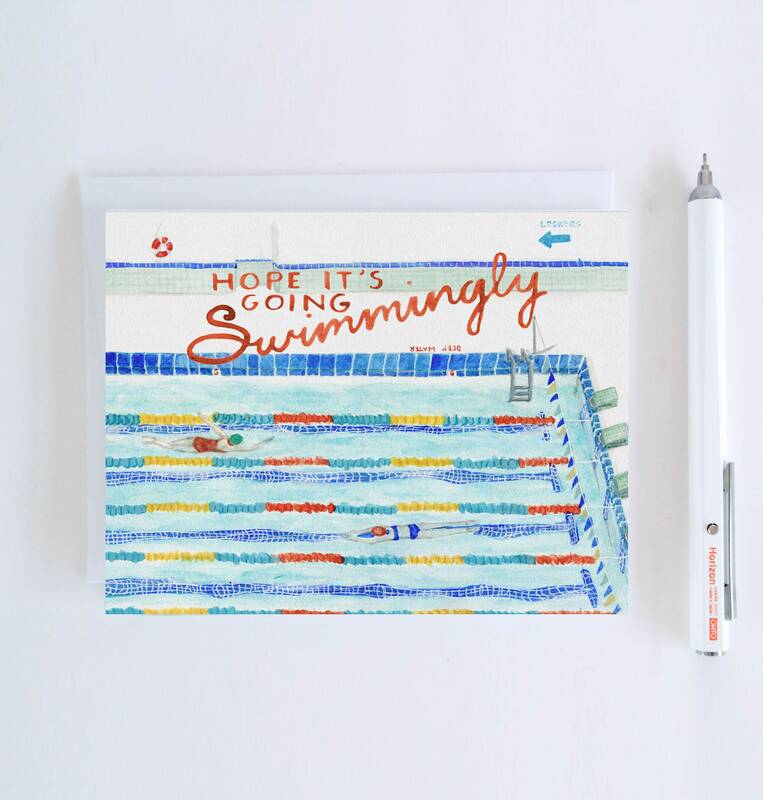 Set of 8 includes 2 of each design.